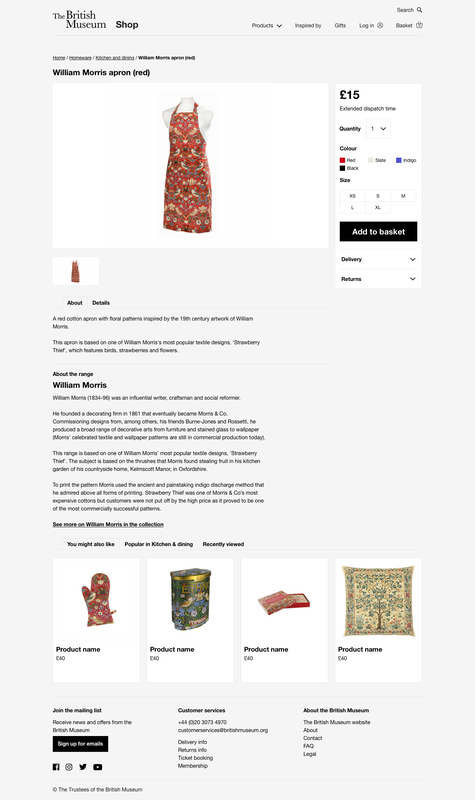 The British Museum Shop website showcases a wide range of products inspired by the Museum’s collection. 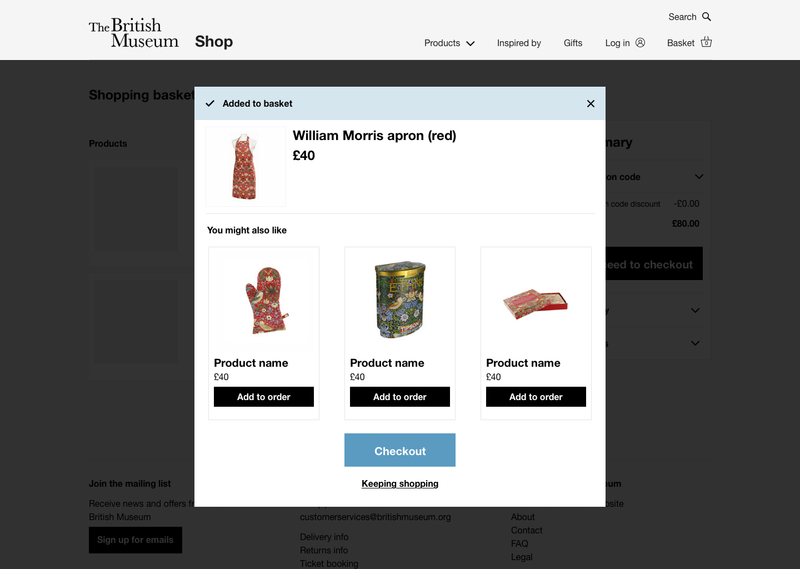 Problem: The British Museum Shop website was moving onto a new platform, Magento. 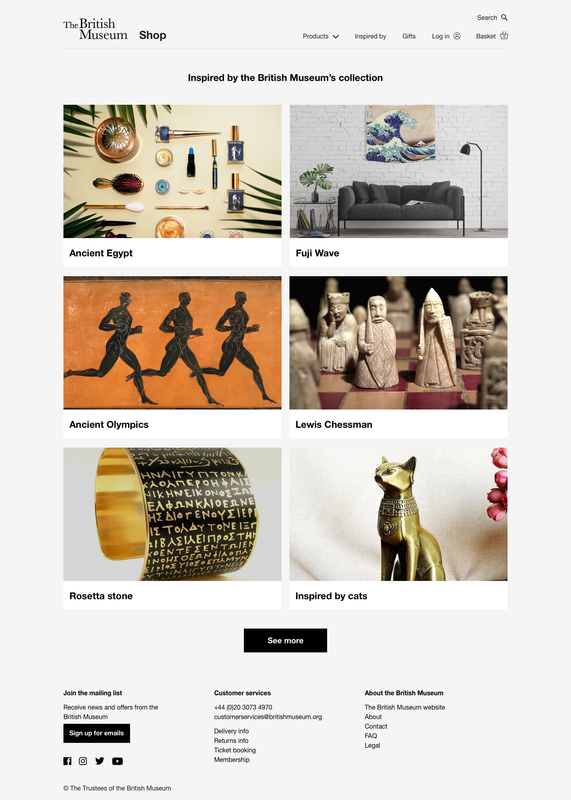 The Ecommerce team took this opportunity to update the visual language of the website and solve some of the pressing UX-related issues with the site. Audience: The ecommerce platform receives visitors primarily from the UK, Europe and North America. About 85% of all visits come from a mobile phone. Process: The design process followed an agile project schedule. Designs were created and delivered prior to the beginning of a sprint. 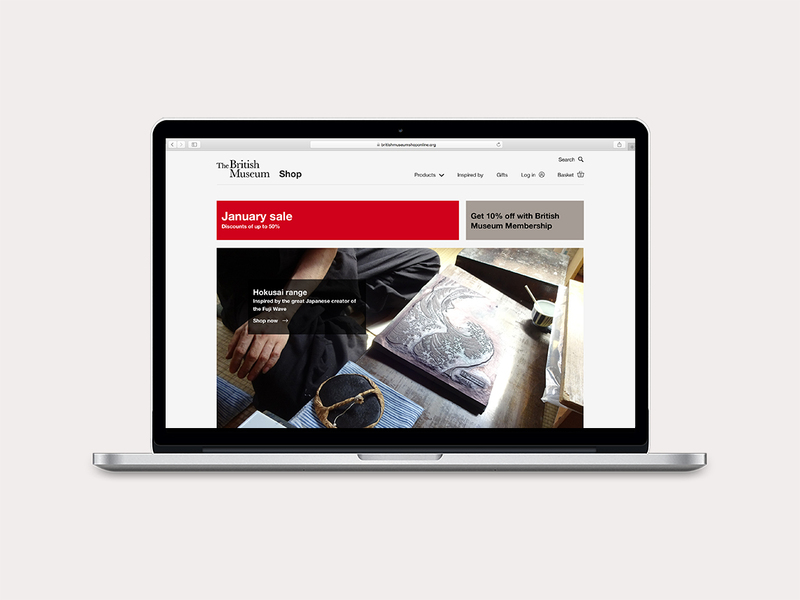 I worked with internal stakeholders to realise their ambition with the new website, as well as align the look and feel with the collective portfolio of digital products.